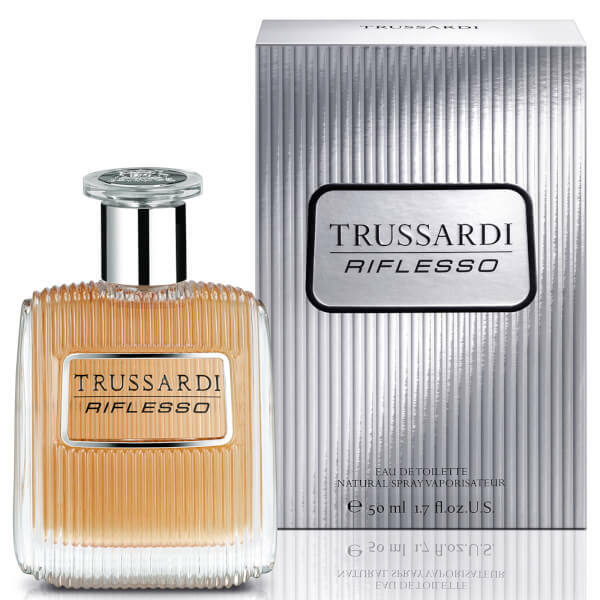 Discover the characteristic fragrance of Trussardi's Riflesso EDT; a woody oriental scent that combines sporty elements with effortless sophistication. Opening with energetic notes of Bergamot, Pink Grapefruit and crisp Apple, the alluring eau de toilette is enhanced by Geranium, Violet Leaf and Lavender Flower, before settling on a sensuous base of striking Leather, Tonka Bean and Vetiver. Inspired by Italian cars and motorcycles, the masculine fragrance is housed in a textured glass bottle with a silver-toned cap that is reminiscent of a steering wheel. Created by perfumer Véronique Nyberg for the confident, ambitious male. Heart Notes: Geranium, Violet Leaves, Lavender. 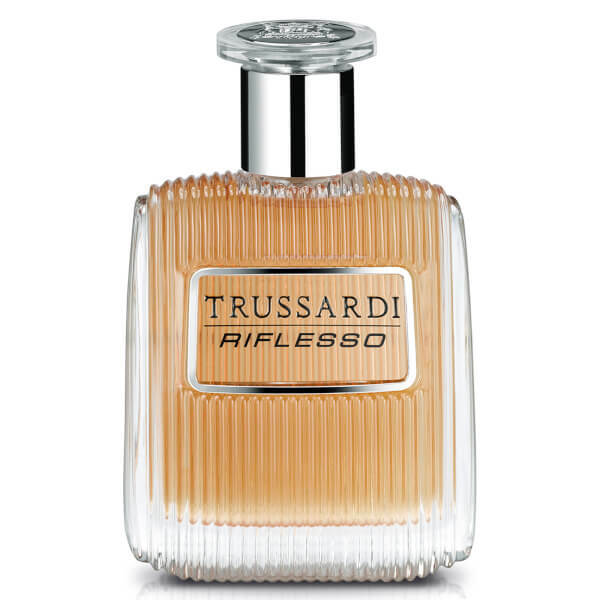 Base Notes: Vetiver, Tonka Bean, Italian Leather. Spray around your neck and on your pulse points (areas where the body is warmer, such as the wrists, ankles, inside the elbows and behind the knees) from a minimum distance of 15cm, then allow to dry without rubbing.